I received the following letter and articles from David Hodnnick, CCP a prominent perfusionist in our profession. There is a wealth of material, and some very good information to unearth, so thank you David, for sharing this material with all of us. I printed your letter in it’s entirety- as that sort of raw style fits “Surfer’s to the “T”. I am writing using the Minnesota Perfusion Society email. We met in San Diego last February. I was one of the perfusionists who you said blew you away by complementing you for the work you do for the perfusion community with the Circuit Surfer page. My name is David Hodnik. I’m an old guy now like many of us who see the demographic shift happening in our career field. You may agree or not that we recognize how we got here. What I mean is that we “stood on the shoulders of giants” to have the ability to work in this amazing career. Sure we get exhausted and frustrated at times like any human would in situations where rest and refreshment aren’t available to us as we wish it but WOW it’s awesome to be a perfusionist today. Frank, take a look at the history of the bubble oxygenator video and think about contacting the Lillehei Surgical Society for permission create a link if you think it worthwhile. Copy and paste this link into your browser. Check out the other videos on the history page of the Lillehei Surgical Society website. I am also attaching jpegs with permission to use on your site from Ed Berger. Ed had worked as a perfusionist in the early days of cardiac surgery in St Paul Minnesota. 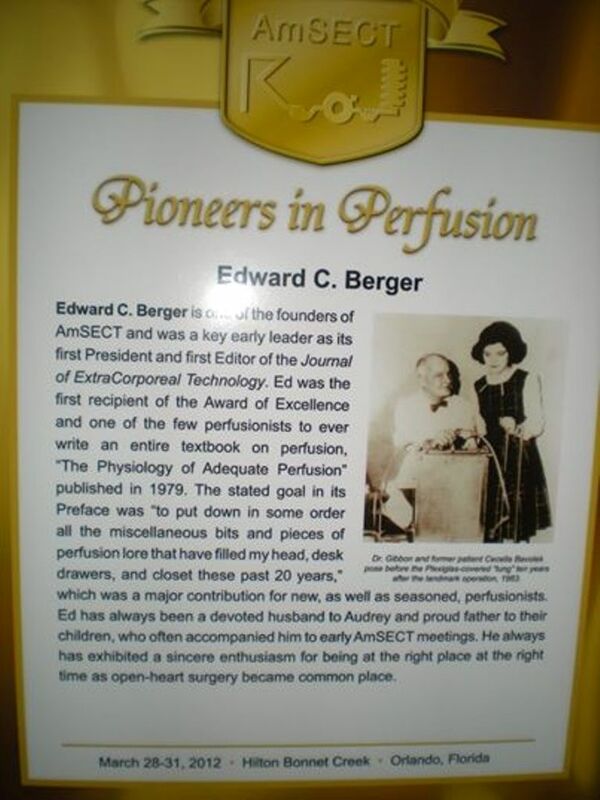 Ed was recognized by AmSECT as one of the pioneers in perfusion. In the very last days of 1968, just eight months before the moonwalk, another notable small step was taken. It was not quite world news worthy, but nonetheless, was of great significance for the world of cardiovascular perfusionists. 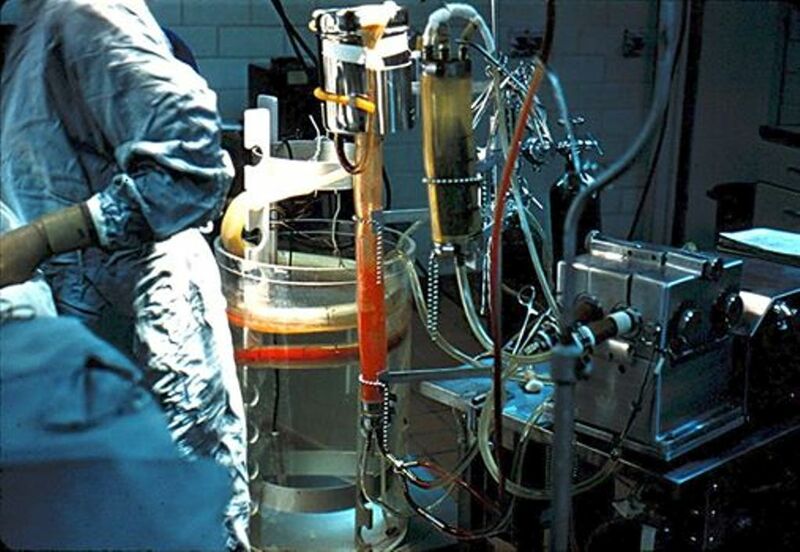 In December of 1968, the Journal of ExtraCorporeal Technology (JECT) was first published. In an early issue, the founding editor, Ed Berger, stated that the journalā€™s primary purpose was for disseminating information. He stressed that the audience and contributors of the journal should be broad, including technologists, physicians, nurses, administrators, designers, engineers, and manufacturers. The journey continues; at this moment you are reading from the thirty-eighth volume of the journal. This represents page upon pages of useful information, each perhaps a small step. Today there are more than 2000 subscribers from all over the globe that read JECT. Our editorial board is composed of leaders in our field from eleven countries, more than 75% of which are currently credentialed and clinically active perfusionists. The Journal is indexed in Pub Med and the Cumulative Index of Nursing and Allied Health Literature. All that have served or published in the journal since its inception has made this a journey of continuous progress. Ed also authored a textbook titled “The Physiology of Adequate Perfusion” published by Mosby in 1979. It was one of my textbooks along with Reed and Clark’s “Cardiopulmonary Perfusion”. attempting too find things to improve my site!I suppose its ok to use a few of your ideas! !